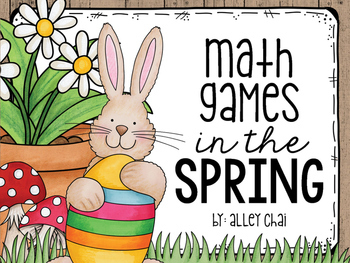 Celebrate the month of April with these engaging, hands-on math centers! This pack was created for 4th graders and is aligned to the 4th Grade Common Core State Standards; however, it could be used for enrichment in 3rd grade and intervention/review in 5th grade. For more information, be sure to check out the center specifics below and the preview! 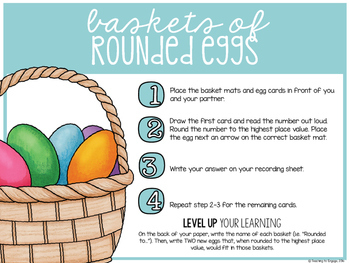 Center #1: Basket of Rounded Eggs! 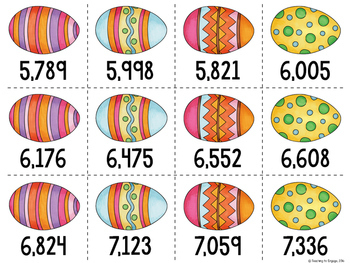 This centers asks students to roud multi-digit numbers. There are THREE levels included for differentiation options in the classroom. Center #2: Geometry in the Garden! This center asks students to identify geometric figures in the real world. Center #3: "Insecting" Angles at the Pond! This center asks students to measure and identify different types of angles. Center #4: Patterns of Peeps! This center ask students to solve patterns for the rule, the next two terms, and features of the pattern. There are TWO levels included for differentiation options in the classroom. Center #5: Planting Multi-Step Gardens! This center asks students to solve multi-step story problems involving basic operations, time, and money. 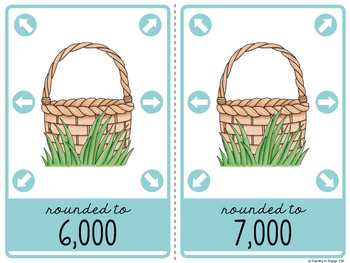 Center #6: Blooming Place Value! This center ask students to write numbers in different forms and identify the value of an underlined digit. There are FOUR levels included for differentiation options in the classroom. Center #7: Sweet Candy Products! This center ask students to find the product of multi-digit multiplication problems. There are THREE levels included for differentiation options in the classroom. Center #8: Watering Fractions! This center ask students to find decompose fractions into three different sums. Center #9: A Sunny Sums Race! This center asks students to add multi-digit numbers. There are THREE levels included for differentiation options in the classroom. Center #10: Garden Gnome Factoring! This center ask students to find the factors, common factors, and the greatest common factor of two numbers. NOTE: Individual recording sheets, student center booklets, and answer keys are included!